Salamandre bottled our 2011 Late Harvest Sauvignon Blanc from Arroyo Seco in the Fall of 2012. This wine, with perhaps a squeak of presumption, reminds me a whole lot of some lovely wines from Graves. In contrast to the formulaic routine for cranking out another vintage of Chardonnay or Cabernet, late harvest wines represent, I believe, a true test of a winemaker’s optimism, a reinforcer of humility, a harkener of mischief, and every now and then, a serene exultation that you just never forget. 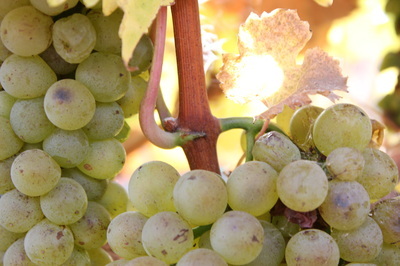 Late harvest white wines offer intensely concentrated flavors and deep yellow color. That’s standard. A single empty glass, left on the countertop until morning, can fill the whole kitchen with honeysuckle aromas that make you think you’re still dreaming. These wines all boast an un-subtle sweetness which earns them their common moniker of “dessert wines.” The Aussies and Kiwis call these wines “stickies,” for obvious reasons once you spill some on your shirt. The undisputed aristocrat of all stickies, Chateau d’Yquem, and the miraculous trockenbeerenauslese Rieslings of Germany, sell for $100 for a 375 ml half bottle. I’ll try to tell you why. 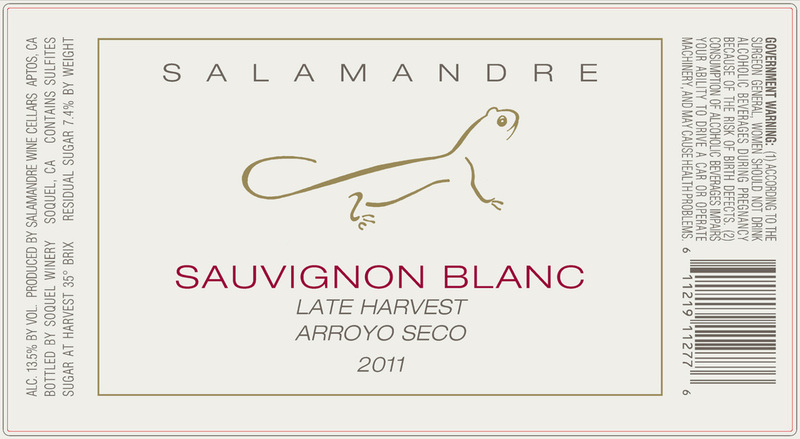 All of the sweetness in late harvest wines comes from the natural grape sugar from exceptionally ripe grapes. So ripe, in fact, that the natural yeast fermentation simply can’t finish the task of converting sugar to alcohol and carbon dioxide (along with warmth and love). The combination of alcohol and sugar stifles the yeast’s reproductive zeal…and the fermentation naturally stops with residual sweetness. For this to happen, the grapes need a harvest sugar concentration well over 30%...sometimes pushing up towards 40%. Once in my career, the very first try, too, as Fate began her tease, it reached 43%—practically syrup. For reference, normal dry wines are made from grapes in the 22 to 25% range, and table grapes usually hit the market with sugars down in the 16-18% range. Botrytis cleverly insinuates its mycelia—microscopic straws if you will—through the skin into the pulp of the grapes, where the mold extracts moisture and nutrients. While I doubt the mold really cares about the rapture of wine drinkers, this biological phenomenon concentrates the sugar as well as the flavor inside the shriveling grape. Ah, but there’s more. Botrytis contributes a marvelous set of flavors of its own…the prized apricot and honey. Botrytis’d grapes don’t look pretty. Actually they look revolting—shriveling clusters covered by visible mousey mold. (It reminds me of some unspeakables I’ve found in the back of my mother’s refrigerator.) The lovely translucent yellow-green of ripe white grapes lapses into an unbecoming opaque brown. They lose the appealing, plump turgor of normal grapes and slink into the realm of soft and squishy…you could perhaps say, “slimy.” As the fungi extract more and more fluid, the individual grapes eventually get drier…and uglier. I have scandalized my family and some unsuspecting friends by smushing a whole bunch of these gnarlies into my mustache and loudly slurping the nectar with vocalizations normally reserved for private moments. This natural progression takes time, and time can be unkind late in November. For the magic to transpire, the vulnerable grapes have to hang out in the slowly sinking sun while all the good little boy and girl vines have called the season a wrap and obediently gone to bed. In the case of Arroyo Seco’s vines, that means waiting after Thanksgiving, which means our normal rainy season is likely well underway. If it rains on Bortrytis’ed grapes, they simply slide off the stems into a fuzzy gray splat on the mud. The vineyardist and winemaker huddle nervously stare at the gathering gloom to the Northwest, wondering if they can coax a few more days and an uptick of another percent or two in sugar content. The grower’s yield for late harvest grapes may be less than a quarter of the weight of the grapes had they been picked at normal ripeness…so there’s a financial sacrifice right there, and there’s often more to come. The fairy tale ending usually doesn’t work out. If the rain gods win the gamble with the weather, the game is over. Time to scrub the lugs, lube the shears, wash the truck, and dig into the procrastinated paperwork. I follow the instincts of Serafin Guzman and Roger Moitoso of Arroyo Seco Vineyards in Greenfield, and I do what they suggest. In 2011, we scored! Three pointer swish at the buzzer, Giants homer with two out in the ninth, USA header into the net in added time, Kaepernick dash into the endzone as the clock ticks to zero…that kind of Hallelujah score. Over our 29 commercial harvests, despite a fascination with these wines, we’ve produced only 6 stickies that I consider excellent—the 1989 Serafin Riesling, the 1990 Santa Cruz Mountain Chardonnay, the 2003 and 2004 Primitivos, the 2007 Viognier, and now this one. In the world’s renowned late harvest vineyards, they need better odds than 6 in 29. The winemakers may send pickers through the vineyard three or four times at intervals, sometimes selecting individual clusters while leaving others to “work” for a few more days. Apocryphally, they sometimes pluck individual grapes on sequential days. That’s dedication! We do pick selectively, as not all clusters have the “right” mold growing, and, beyond that, California bees tend to behave rudely when clutched between bare fingers. Once we pick late harvest grapes, the anxious waiting may be over, but the work is just beginning. Mechanical grape crushers don’t manage these gummy clusters very well. The first time I tried, the grapes simply glued themselves to the rollers and then pranged them right off the shaft. We finished the old fashioned way…stomping by foot…with hygienically clean boots, of course. The viscous mass of crushed grapes goes into the basket press, but the juice comes out begrudgingly. A few times, I’ve spent 3 days pressing, which means getting up every hour at night to collect, perhaps, another gallon or two of this amazing juice. It smells like honey, apricot, and intense varietal aroma of whatever you’re squeezing. Once you smell late harvest Viognier juice…or Riesling...you’ll never forget that signature aroma. Jack Chyle, formerly the chef at the magnificent Chez Renee, and I can attest to the aroma of late harvest Sauvignon Blanc in 2011. Fig, grapefruit, apricot, and honey…with a touch of fresh cut hay. Unforgettable. The fermentation starts very slowly…often days before the telltale prickly bubbling starts. We do this in stainless steel, and we cover the vessels carefully, since fruit flies, yellow jackets, and raccoons all rise to the allure of this rare treasure, too. Dipping a wine thief into the effervescent honey milk shake probably qualifies me as an unrepentant serial predator, too. Normal wine ferments to dryness in 1 – 3 weeks, but the late harvest fermentation trickles along for months. The 1989 Serafin took a full year before it rested. It is our solemn duty to monitor its progress, and we’ve also found that fermenting juice tastes great over soft ripe pears. Once we’re fully satisfied that the fermentation has ceased, it will settle slowly until clear, and then we bottle it. No filtration (it wouldn’t work anyway). No manipulation (it ain’t broke). No ritual sacrifices (hey, we’re civilized). But we do show gratitude. And we’ll be happy to share…375 ml at a time.